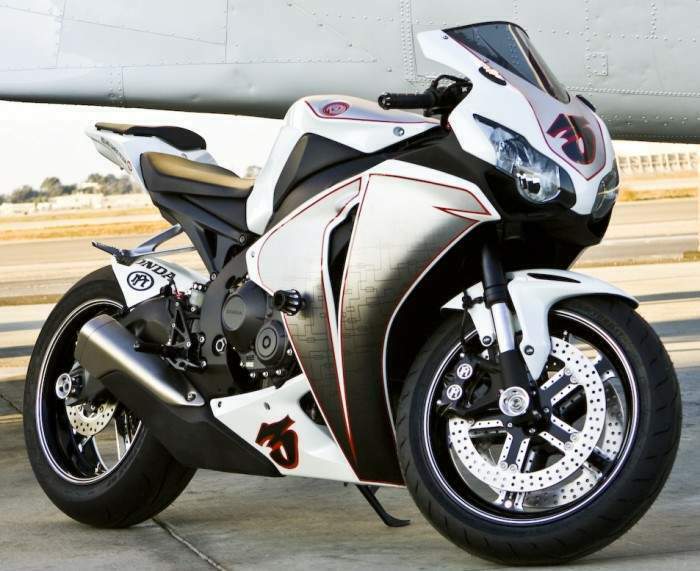 We're amazed at the transformative effect only basic modifications can have to the Honda CBR1000RR. Shorn of Honda's badly chosen paint jobs, the ridiculously huge number plate hanger and minus the mirrors, this bike achieves a strikingly aggressive, timeless look. 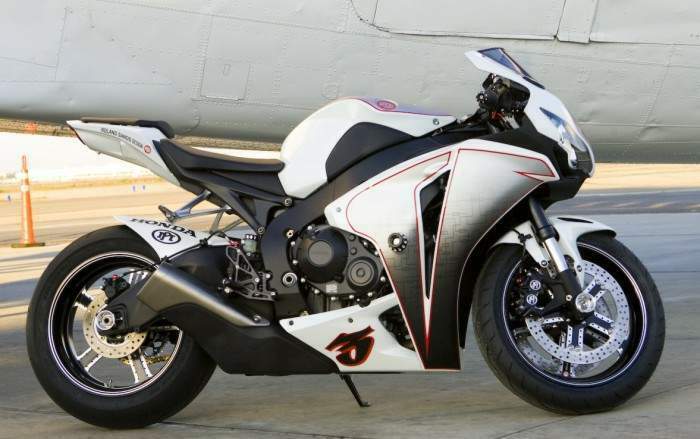 RSD build this CBR to benefit pediatric brain tumor foundation, Ride For kids. It'll be making appearances at each round of the International Motorcycle show, where it'll be raffled off to raise money for the charity. We know Roland's been hankering to get his hands on the new CBR since it premiered last year and we really like what he's done to it, the only thing we'd leave off are the tacky wheels.